Help out those in need! On March 11, Japan suffered from a powerful earthquake that triggered a massive tsunami to hit the northeast coast. Thousands of people have evacuated and are now left with nothing but the clothes on their back. This is the time to bring together a group of friends and family and use your skills to knit and crochet donations. The families in Japan need warmth and comfort to get through this difficult time. 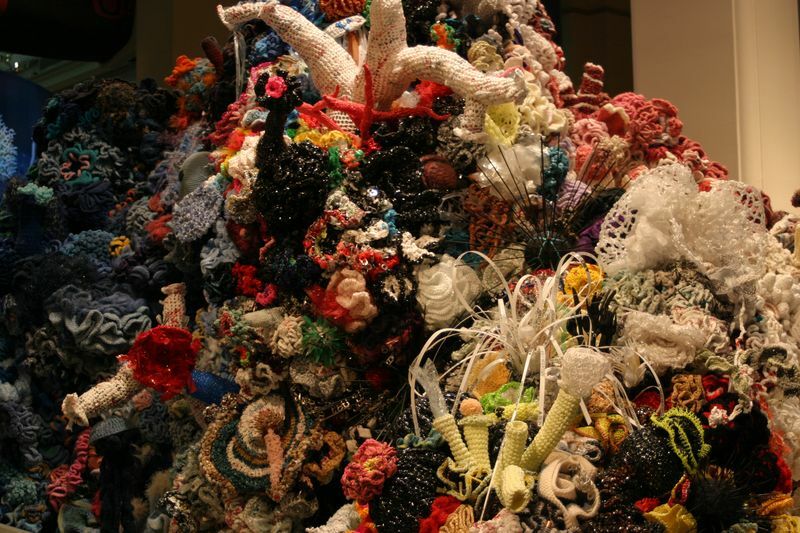 DIVE into the unknown and learn some coral crochet techniques! Little do you know, as you take on the crocheting adventure you are embarking upon the mathematical term ‘hyperbolic planes.’ It is a way to create a a space that curves away from itself at every closed point, just like the model of coral! Check out Daina Taimina book Crocheting Adventures with Hyperbolic Planes. Go ahead and create your own at home great barrier reef and explore all the possibilities there are out in the open! Here are some beautiful images of what has been designed by others. 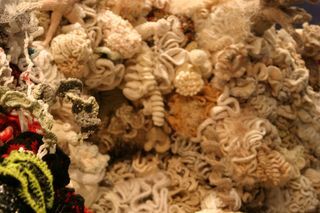 Check it out and then get going on crocheting your personal under the sea creations! birthday present?.. Handmade Knitted Ideas! Turning the page of your calendar or planner after every month, the first thing to notice are the birthdays coming up, and sooner than you know. The question always pops up, “What will I get them for their birthday?” Well, what better way to create something that can personally connect with the birthday person rather than just buying them a gift card. On Shelley Caskey’s blog, she explains how she received a hand knitted scarf from a dear friend for her birthday. There are many handcrafted ideas that would turn a simple birthday present into something more meaningful and personal. This lets you open up and express your creative side while having fun at the same time! Shelley knitted this drawstring bag for her friend Maya’s upcoming birthday. 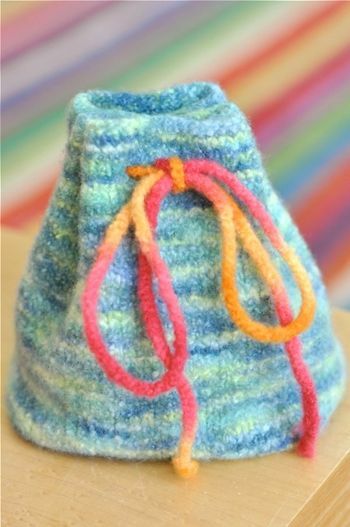 Shelley's handmade knitted drawstring bag. It’s time to grab your knitting needles or crochet hooks and start designing some wonderful gifts for those friends of yours of their special day of birth. Ps. You can also follow Shelley on Twitter and Flickr and check out some of her knitting ideas!